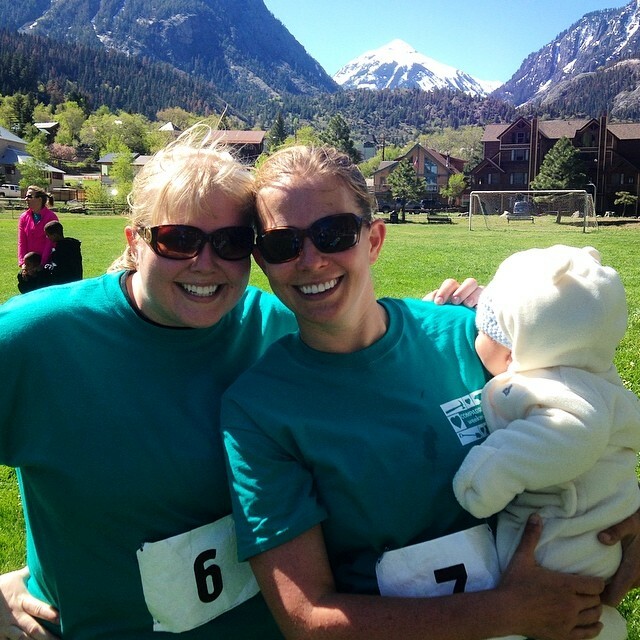 WWW – First 5k of the Season! Well, I’m fairly happy with how I did this past week. I didn’t track calories every day that my family was here – too much eating out and throwing BBQs and drinking beer so it was hard to accurately track when I was doing that kind of stuff – but I made decent food decisions and I was great about moving my body. I was off of work Friday-Monday, and I got 10k, 9k, 4k (Harvey’s baptism and then a cruddy, rainy day so not much time to work out), and 14k. Not bad since my goal is 6k steps per day! My 7 day average was 7,500 steps. This week though, I am back at tracking my calories on MFP. You really can’t outwork a crappy diet, and I need to remember that. Since my family left, I’ve tracked everything I have eaten, taken a break from drinking any alcohol, and am working on getting back into my healthy eating routine. It feels good! Oh – and on Monday, even though we had a big Memorial Day BBQ filled with good food and drink, I at least started the day out with a healthy activity – a 5k with my little sis! You can’t outwork a crappy diet… Words to live by. So true! well done on the 5k! Yay! I start my 10 week intense program on the 14th. Can’t wait!!! We paid for it, and its at 5:15 each morning, so there are no excuses! Nice! What will you do with the kids during the program? Or did you say you were in the morning and he is in the afternoon? Yay on the 5K!!!! Tracking food is always hard. I HAVE to plan it out or I just don’t have time to keep it up. Somebody always wants something! bah! But planning ahead is the best way anyway! I am so excited to get “cleared” to run! I’m walking and doing pilates.